Experimental metal act EPHEL DUATH will return with its first album in five years, "Hemmed By Light, Shaped By Darkness", on November 19 in Europe and November 26 in North America via Agonia Records. 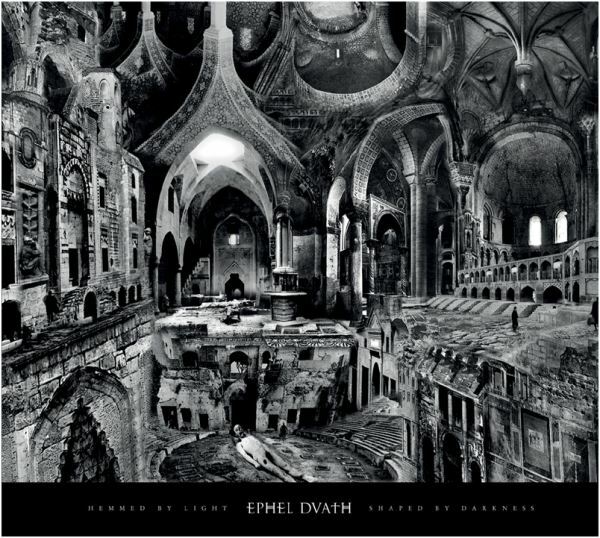 "This album holds together all that EPHEL DUATH's music has touched in the last fifteen years and pushes its boundaries even further," comments EPHEL DUATH mainman Davide Tiso. "Lyrically, the new songs dig deep in higher self subject matters, combining brutally visual imagery with a painfully honest soul-searching quest." 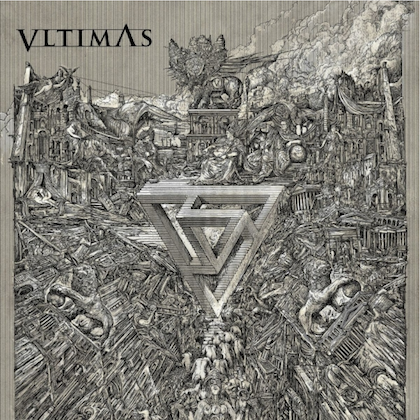 Featuring eight new songs and reaching over 50 minutes of total length, "Hemmed By Light, Shaped By Darkness" includes a unique line-up of: Marco Minnemann (KREATOR, NECROPHAGIST, JOE SATRIANI) behind the drums, Bryan Beller (DETHKLOK, JOE SATRIANI) on bass, lead singer Karyn Crisis (CRISIS) along with Tiso. The album was produced by Erik Rutan (CANNIBAL CORPSE, HATE ETERNAL) at Mana Recording Studios in St. Petersburg, Florida and mastered by Alan Douches at West West Side Studios in New York. The lyric video for the song "Shaped By Darkness" can be seen below. "Hemmed By Light, Shaped By Darkness" will be available in digipack CD, double LP and digital formats. A video trailer for the CD featuring album artwork created by visionary artists Dehn Sora and Aeron Alfrey can be seen below.